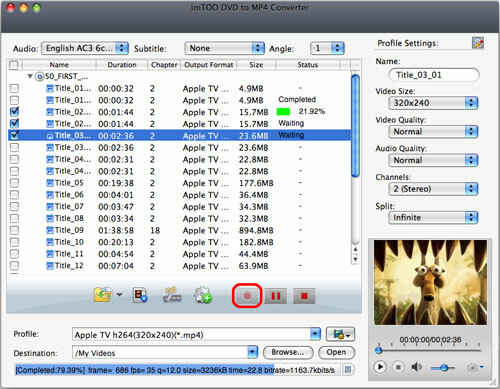 This step-by-step tutorial of ImTOO DVD to MP4 Converter for Mac will show you how to convert a DVD to MPEG-4/AVC, AVI, MPEG, DivX, XviD video or MP3, M4A, and AAC audio for your media players such as PSP, PS3, Creative Zen, iRiver, iPod, iPhone, Apple TV, etc. 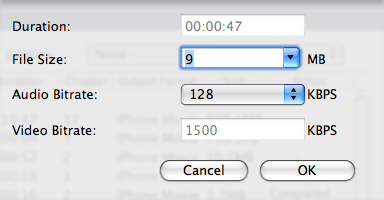 on Mac. 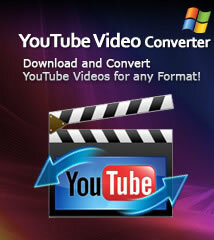 Download this DVD to MP4 Converter for Mac, and then follow the steps below to accomplish the conversion. 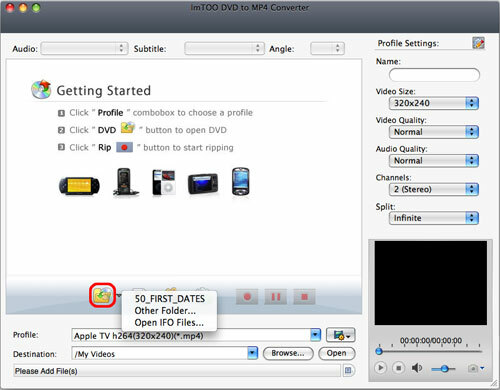 Insert a DVD, click "Open DVD" button, select the inserted DVD in the dialog box that opens to load it. 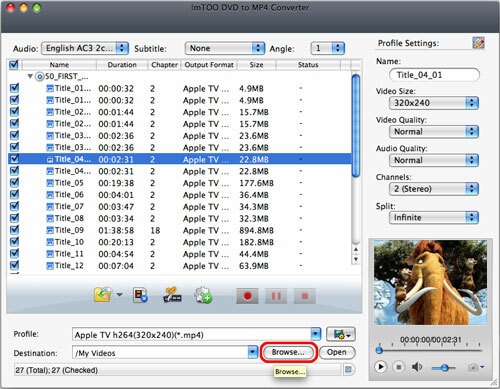 The loaded DVD information, such as chapter and title etc. 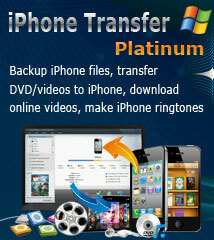 will be showed in the file list. 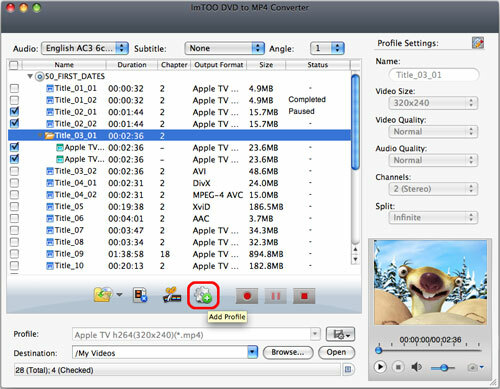 Or, click "Open DVD" drop-down button, select "Other Folder" option, select a DVD folder in the file dialog box that opens, and load it. 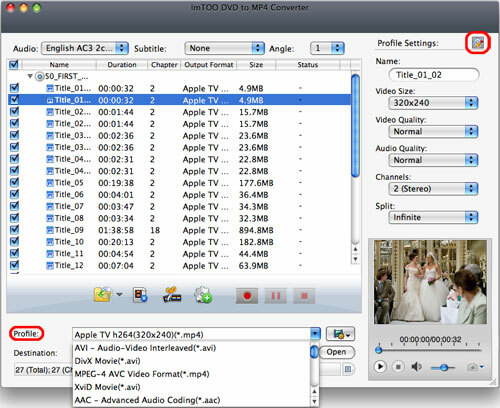 ImTOO DVD to MP4 Converter for Mac provides video clipping function, which allows you to choose the segments you like from the source video, and add them to the file list. 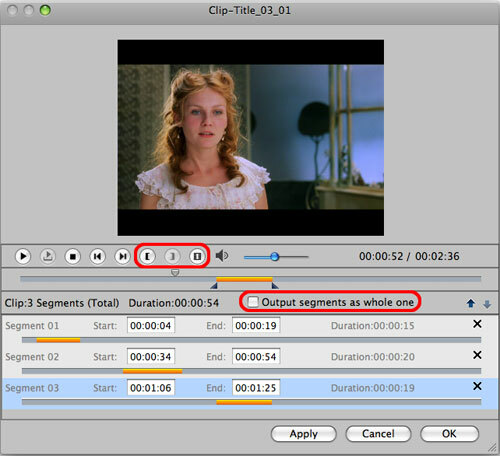 The software supports taking snapshot at will, to store the image you like.